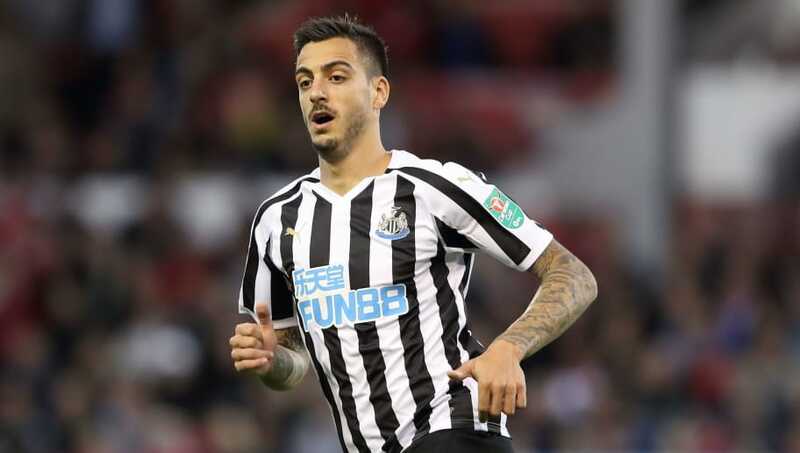 Newcastle forward Joselu has gotten off to a very decent start this campaign, and has said that his confidence is increasing after scoring twice in his first four games for the Magpies. With Salomon Rondon and Yoshinori Muto joining the side over the summer, the competition is tough where strikers are concerned. But the Spaniard has risen to the challenge and looks set to have another productive season at St. James' Park. Joselu began the season with an opening day goal against Tottenham, and followed that up with a strike against Chelsea. “I think the players who have come in have tried to help us as soon as they can, and that’s a good point for Newcastle. "The Premier League is so difficult, but I was really happy to score and I will try to continue to score more goals and help the club. “Maybe you are carrying ‘weight’ with your body and then when you score, you lose all this weight. “I try to do my best on the pitch. I know the people want the strikers to score goals, but the gaffer knows me." Per Premier League records, the striker missed 14 big chances last season. And, while he admitted there is a need for improvement, Joselu noted that even Cristiano Ronaldo - he rates the Portuguese as the world's best striker - misses loads of opportunities. “I know last season that I missed chances, but all the strikers missed chances," he added. "I saw games where Cristiano Ronaldo would have 15 chances and miss 13, but score two goals - and he’s the best striker in the world. That’s the good thing."